Dr. Birdi is one of North America’s very few Certified Dual Specialists in Periodontics and Prosthodontics, and the first and only specialist in the world to attain Canadian and American board certifications in both Periodontics and Prosthodontics. He is a reviewer for the Journal of Oral Implantology, Clinical Advances in Periodontics, and the International Journal of Oral & Maxillofacial Implants (JOMI). 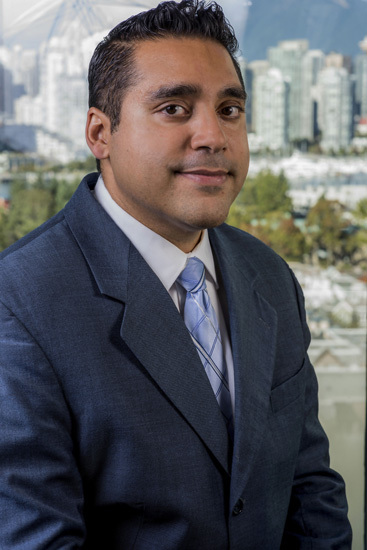 Dr. Birdi is an adjunct Assistant Professor at the University of British Columbia and the University of Minnesota, and he actively lectures both nationally and internationally in the fields of implant surgery and prosthetics, as well as esthetic dentistry. The Vancouver Study Club provides its members with a variety of high-quality dental courses opportunities, featuring world-renowned speakers, throughout the year.